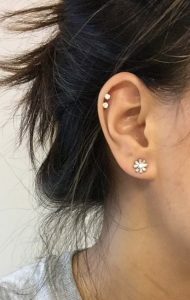 Piercing ears or the Cartilage always fascinates people giving them a chance to decorate them, but to get variations and present an entirely different style statement. You have several choices to choose from. 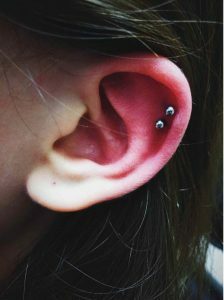 You can go for Helix, Orbital, Earlobe, Tragus, Rook, Conch, and Industrial piercing. 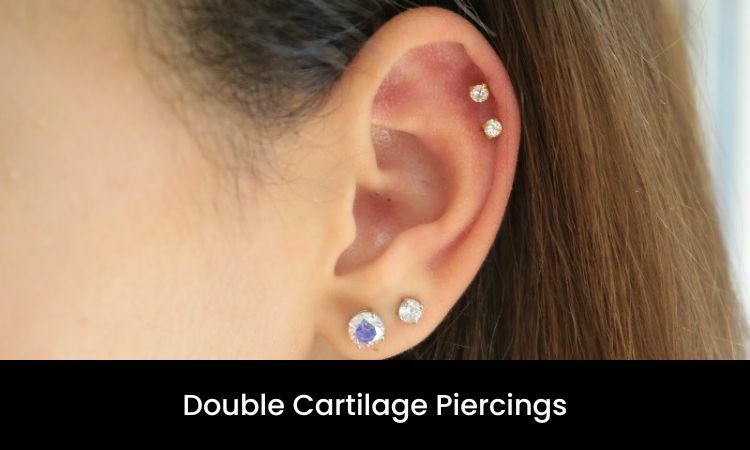 They all are the types of cartilage piercings. 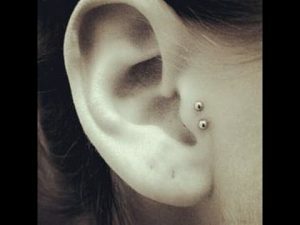 These piercings differ from each other due to the area of perforation. The ear is made up of cartilage which is an elastic tissue that gives it shape and keeps it in place. 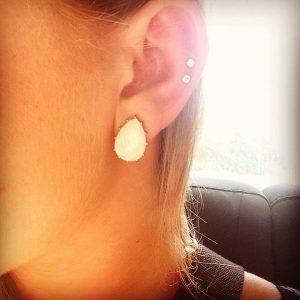 The perforation in the ear is generally known as Cartilage Piercing. 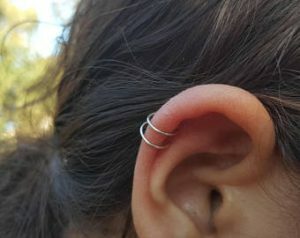 It can be single, double or multiple piercings. There is not much difference in all three of them just the numbers vary. 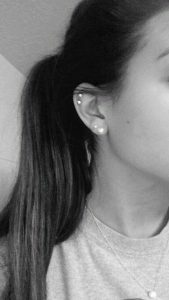 When the ear punches twice, it is known as Double cartilage piercing or Double Helix piercing. 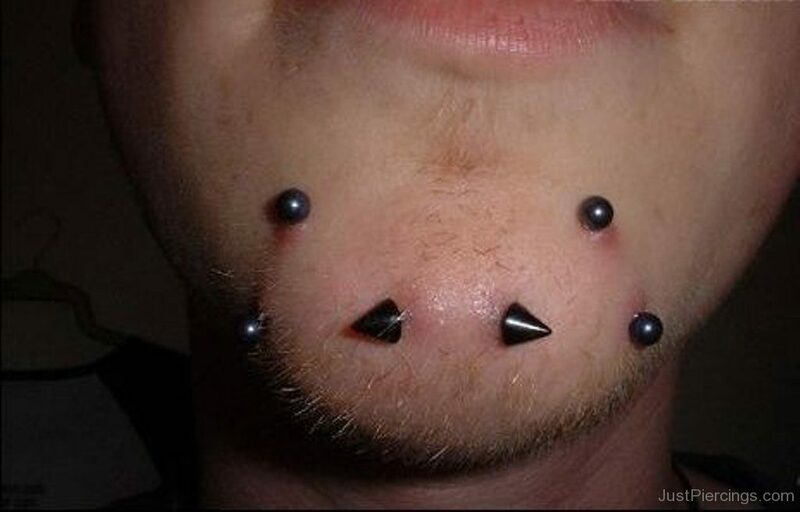 You need to visit a ‘piercing studio’ to get the piercing. Piercer will make two marks where the punctures will follow. They can be close enough or far from each other as per your choice. He/she will make the area numb and then with a needle or piercing gun, he will make the punches. After piercing, he will carefully insert a long wire or the jewelry of your choice in it. Yes, it does, and the pain can be more in this case as there are two piercings. So you can experience a twang in them, and if you chose it to be on both your ears, it can be even more painful. Usually, it is advised to go for one ear at a time or at least keep a considerable gap as this will save you from the unbearable pain caused by the ache in both ears at the same time. Usually, it takes three to four months for your fistula to get strong enough and not cause pain if it does not get contamination. The time may vary from one person to the other. If once the infection occurs, it may take longer for the healing process. If the swelling persists for long, accompanied by redness and pain or if you find pus seeping out, it indicates that there is an infection. Here is a list of measures on how to mitigate the wound. Do not touch the area or try to take off the labret, stud or ring whatever you adorn. Mix some turmeric with mustard oil and make a lotion apply with clean hands. Change your pillow cover daily. Take advice from a doctor and follow his prescriptions. As the painstaking piercing heals, you can choose the jewelry of your choice but it is advisable that you wear a thin wire initially, or something that is not too tight as that can spoil the wound. There are varieties of jewelry available, from ear cuffs to hoops, studs or rings. Just be careful in the metal selection, which should be such that it does not react with the atmosphere or your skin as reactive metals can lead to infections too. 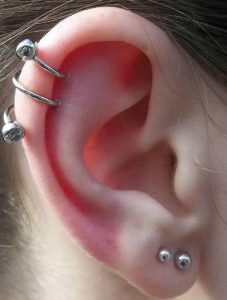 The cost can be upto $20 to $50 per piercing, or $40 to $100 or so in total. It may vary with the type of jewelry chosen.